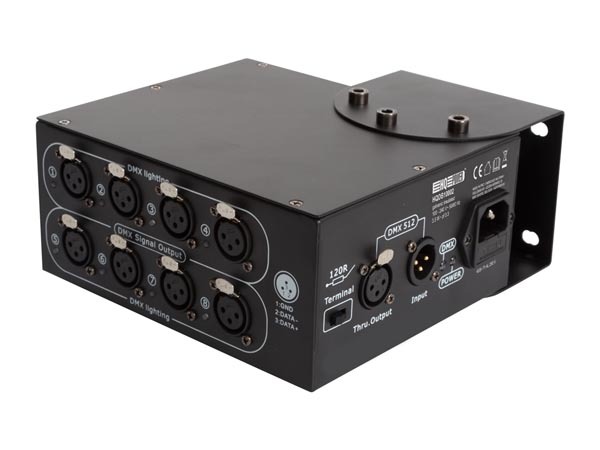 8-way splitter / booster in a small compact housing. 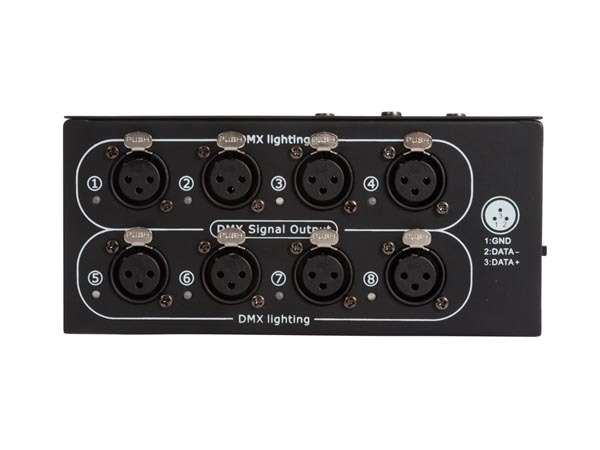 Easy to use when you need a long distance DMX signal. 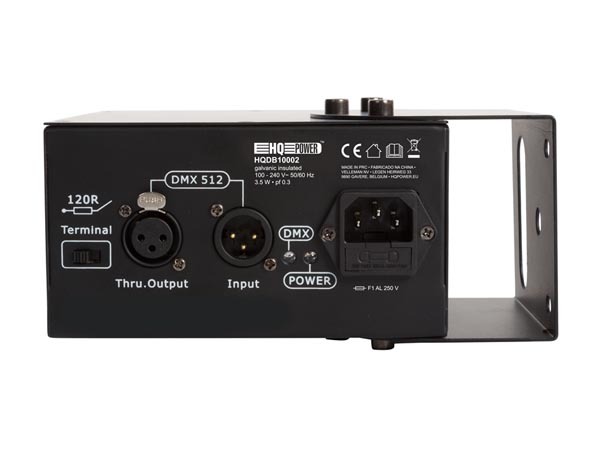 With LED indicators for the DMX signal.